According to Philips, the Momentums HDR video delivers greater brightness that other displays, while featuring dar deeper, more nuanced darks. The headline feature here is that 436M6VBPAB Momentum comes capable of displaying HDR1000 video - the highest display HDR specification to be certified by the Video Electronics Standards Association. The 436M6VBPAB Momentum also features Quantum Dot technology, DTS Sound, Flicker Free technology and Ambiglow. Users can work with multiple inputs, like PC, notebook or TV/media devices simultaneously on the same screen and USB-C, HDMI 2.0 and DisplayPort allow the display to connect to most video and audio sources like gaming consoles, OTT boxes, DVD players and video cameras. 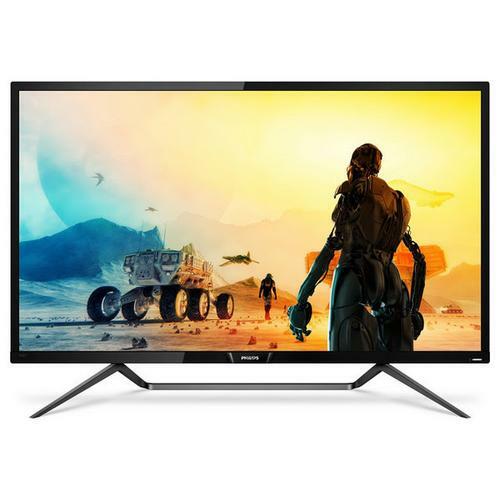 The Philips Momentum display is available now from an RRP of $1399. For more information, visit https://www.philips.com.au/c-p/436M6VBPAB_75/momentum-4k-hdr-display-with-ambiglow.